KhanaCross st the 'BigBull' Wauchope NSW. This is always a good event at a great venue, the spectater points are high over looking the course. 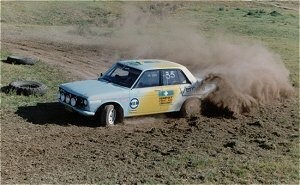 I always had mixed results at these events, it also favored big horse power and 4wd cars. 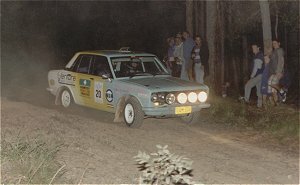 In 1994 June Lowe as navigator, we competed in the Group6 Rally Series. 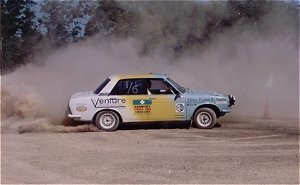 This was my first year in rallying, we managed to put together some good times. 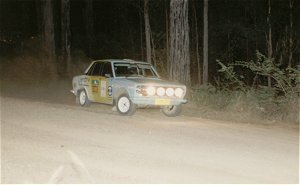 By years end I was encouraged with a 6th in the Group6 Novice Rally Series.